This week, I'm sending my oldest son off to college. I have been mentally trying to prepare for this week for pretty much all of his high school years. I'm in denial. It's hard to believe that it's time to launch one of my babies into the world. For the past 18 years I have been the one there caring for him every time he's gotten a sniffle and I've been the one to patch up his cuts. I won't be around to do that anymore. While he will have access to a fabulous student health center, it's inevitable that in the next few years, he will need something to help him with some minor ailments. 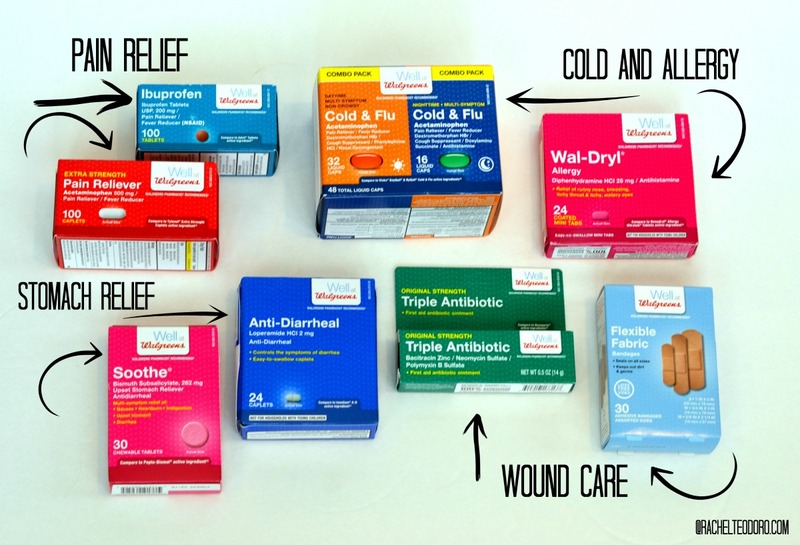 So I put together this RN approved college dorm first aid kit so he has easy access to most of the common over the counter medicines that he will likely need. Since my son will be traveling over 2000 miles away for school, everything he will be taking with him needs to fit in these two suitcases. I've put together The Essential Guide for Going Out of State for College in case you or your child find themselves traveling far from home for their education. We purchased this smaller carry on suitcase and inside of it, there was a snap in plastic zippered pack that ended up being perfect for holding his medical kit. You could also use something like this. When he's not traveling, he can unsnap the kit and keep it in his room for easy access. These are just the essentials. If there is something more specific he needs, I know that there are drug stores nearby that he can visit. Here is what I included in his college dorm first aid kit. I sent the list to my mother-in-law who is an RN and asked if she would add anything. She helped me form this complete list of the essentials. I know there are things that he will probably need to pick up at his local drug store, but with limited space, this kit pulls the most important, most frequently used items together for the most compact but complete kit. Remember, space is limited, so we wanted only the most important items included. 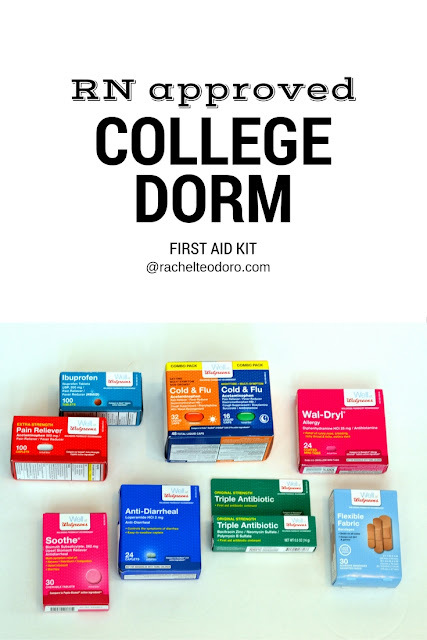 There you have it, an RN approved college dorm first aid kit.